Even the most diligent employees can find themselves battling their employers and insurance companies in the event they are injured while working. The fact is that, when a work injury occurs, the injured worker will essentially be on his own, left to face an uphill battle against Colorado’s complex workers compensation system, as well as employers and insurance providers who will be trying to minimize (or even deny) payments to injured parties as they try to reduce their own corporate costs. Trying to deal with all of this by oneself can be especially overwhelming and stressful in the aftermath of any work injury, especially when serious injuries are sustained and the injured party will need to focus on recovering. 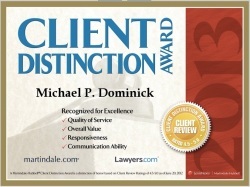 In these cases, the Lyons workers compensation attorneys at the Law Offices of Michael P. Dominick want injured workers to know that we are here to fight for their rights. We understand how daunting the Colorado workers compensation system can be, and we are highly familiar with the latest updates to these laws; moreover, our esteemed legal professionals are passionate about defending the rights of injured workers, and we will work tirelessly to help ensure that they obtain the maximum possible benefits for their injuries and losses. While our trusted Lyons workers compensation lawyers are dedicated to assisting injured workers at every stage of the process, we are also committed to helping those whose cases have been denied or closed get through the system so they can secure the workers compensation benefits they deserve. Whether your case involves temporary, permanent or total disability claims, we can help you. Our Lyons workers compensation attorneys strongly encourage injured parties to learn more about their rights and receive a free case evaluation by calling (303) 447-2644. We can be your advocates during such difficult times by fiercely defending your rights and helping you secure the maximum possible workers compensation benefits.